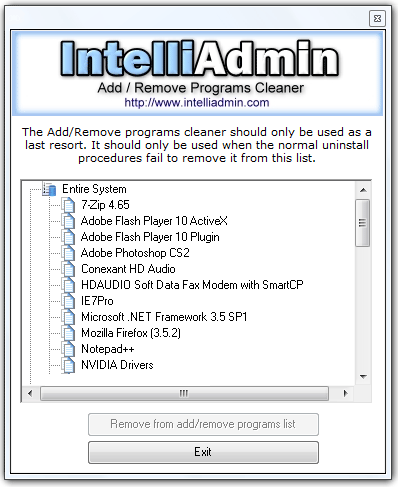 Add Remove Program Cleaner is a Free Portable Utility that can be used to clean up, uninstall or remove program entries (Uninstall Broken Software Installs) from the Add/Remove programs list. The tool enables you to remove any program entries that are broken or cannot be removed by running the uninstall program or application. Add Remove Program Cleaner is a Portable Program Uninstaller that can be stored and run entirely from a portable USB device.